Orchis brancifortii is named after the Sicilian prince Ercole Michele Branciforti who has supported the discoverer of the plant, Antonius de Bivona-Bernardi. 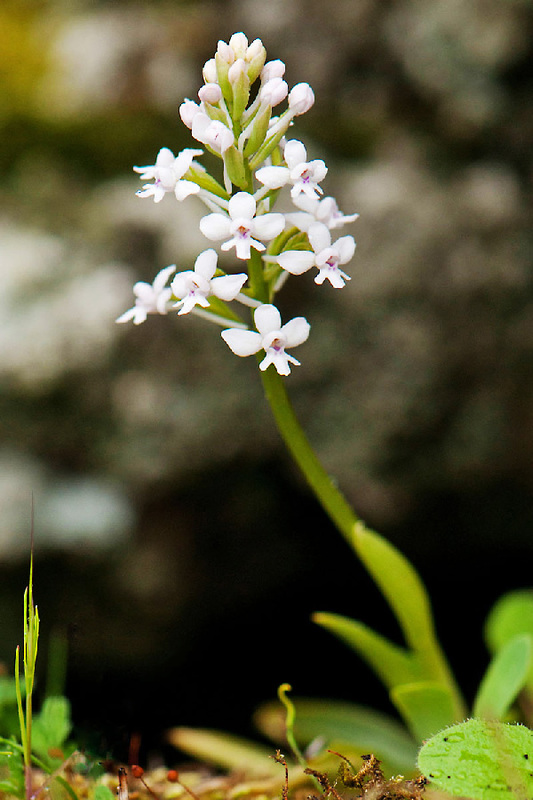 With a height of only 10 to 25 cm, Orchis brancifortii is a small and slender plant. The stem is growing out of a rosette of 2 to 4 foliage leaves, which are unspotted. 1 or 2 leaves sheath the lower part of the stem. The cylindrical inflorescence has 7 to 25 flowers. The spur is almost as long as the ovary, very thin and horizontally spreaded or bent downwards. The ovary is sheathed by a small bract. Only the two petals form a little hood. The rounded sepals are spreaded horizontally and upwards. The three-lobed labellum is smaller than the sepals. The two pollinia have their own sticky plates; but details of pollination are still unknown. Orchis brancifortii was first described by the Italian botanist Antonius de Bivona-Bernardi (1774-1834) in his opus Stirpium Rariorum minusque Cognitorum in Sicilia Sponte Provenientium Descriptiones nonnullis Iconibus Auctae Manipuls (4, 1816). Due to its limited area of distribution there are only few obervations of the white-flowered form. H. Kretzschmar, W. Eccarius and H. Dietrich note that variety of the pink-flowered plant is rather low, but that white flowering plants have been observed near Taormina (Die Orchideengattungen…, 2005. S.350). Here, the colour is retained in little spots at the base of the labellum. 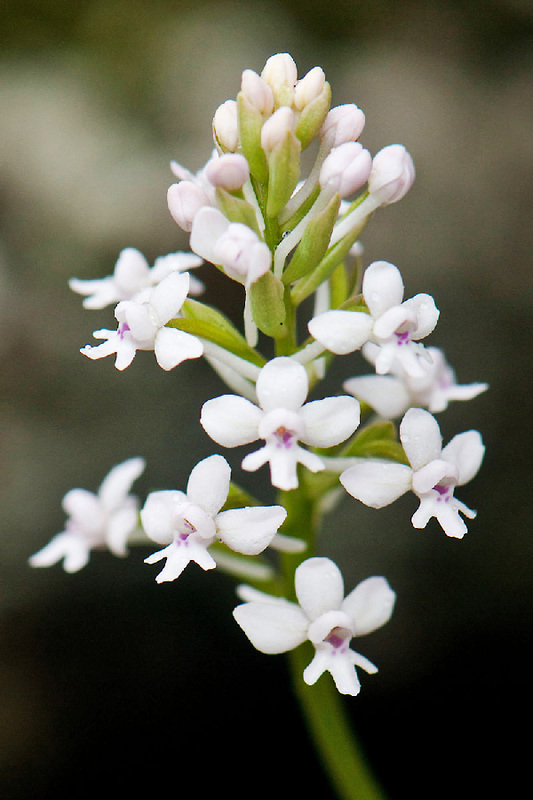 Orchis brancifortii is growing on rough and stony grounds, up to 1300 m. Bloom is from April to May. The species can be found in Northern Sicily and Eastern Sardinia.